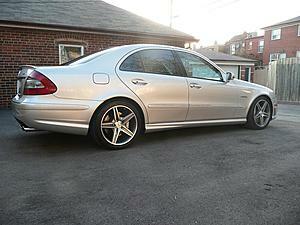 Unfortunately not a E55 or 63 but my W211 nonetheless. 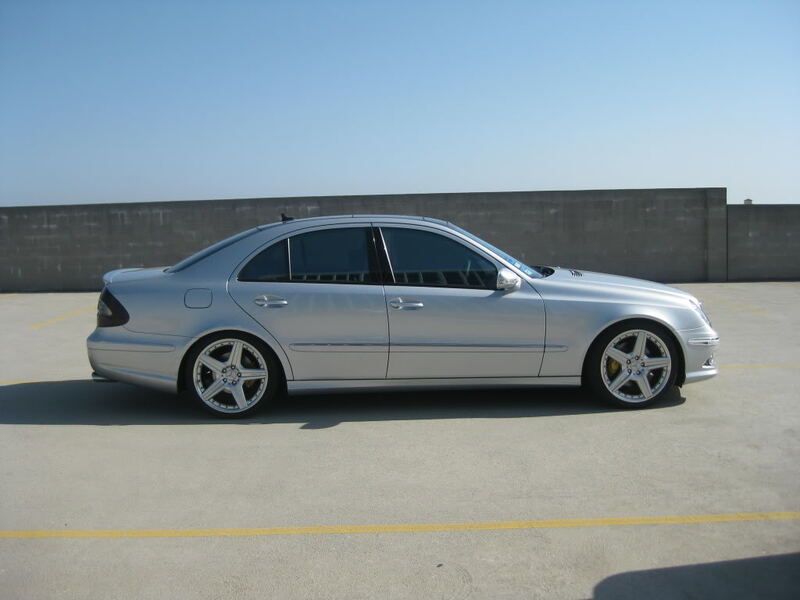 Looks like you have AMG body paneling. Did you do that yourself? Naw. 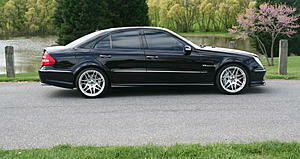 I bought the car with the AMG package. 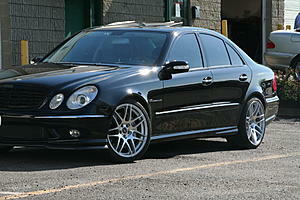 Unfortunately the E55 and E63 engine/mods did not come with that package. BT, car looks incredible!! And it is even better in person. I pretty much hate you! Can't wait to see her in person. those Forgestars look SWEET on your car! 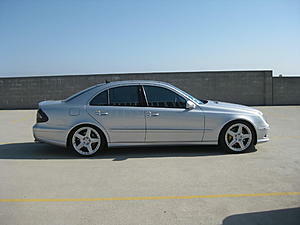 I've got the same finish in 18" sitting in my garage to put on my W208 CLK 55. I wasn't in a hurry, and in fact they've been sitting for a couple of months because I've been busy, but after seeing how nice they look on your car I think I'm gonna have to drop by Discount Tire tomorrow to order up some new tires! Well, its finally here....actually been here about a 2 weeks and McLovin' it.....now, how to get pictures posted on here...? Anyways, pretty jacked....07, 22k Km or 13,200 miles, all factory options but will be looking to put on some wheels for sure. Thanks B. Can't wait until you get all your other mods on!!! Thank you sir!! - just remember the hubcentric rings and new bolts! Well I ordered my new tires from Disount Tire this morning. the wheels came with the hubcentric rings and the same center caps you have. my dealer (Modbargains.com) told me that the wheels were supposed to be used with the factory wheel bolts - do I need to order some different lug bolts?!? There's some chatter going on in the 211AMG forum right now about it - apparently you should have "cone" or "conical" seated lug bolts v the factory which are "ball" seated. 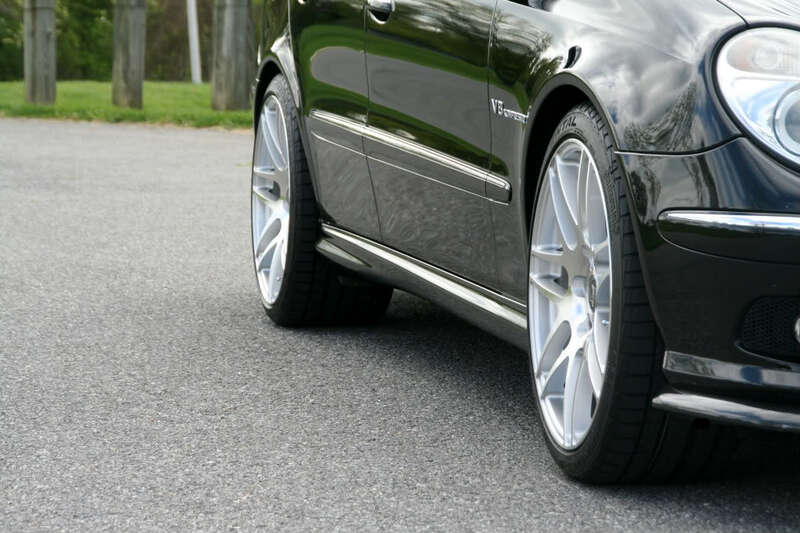 I went ahead and ordered a new set (3 sets actually, because I got the first size wrong, the second set are RAD german bolts but they're silver colored and then I got the bright idea to order black ones to see how that would look). Each set is about 35.00 dollars plus shipping. I'm running the factory ones right now but the new ones go on next week (when I get home from the business trip on now). Supposedly, there's a possibility of the bolts coming loose and a member (with a different brand of wheels) sheared one of his off when he used stock instead of cone (and had problems with other ones coming loose). For 35.00, I'm not messing with it or taking the chance. Hope this helps. Does anyone have the same wheels as me, but without lips & 20"??? 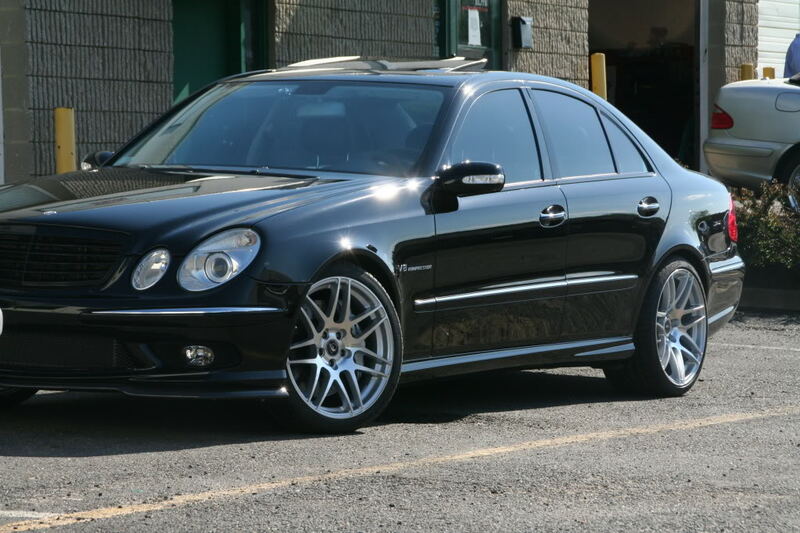 I just bought my wife an E550W4M & am thinking about doing these wheels, but i wanna see how they look. Hot dayum BT! By chance does your 55k double as your dining table? I can't remember where you got your Forgestars...was it Sonic? Im over on the east coast and can't seem to find anyone trustworthy to deal with. I'm also not willing to wait 8 weks to get some, I may not keep the car that long...thanks if you can help.